Embrace the joys of Easter with 120 levels of solitaire fun. This Easter-themed solitaire adventure offers 120 challenging levels. Match cards to remove them and make sure you're ready for all the extra tasks and surprises, including golden cards, new locations and more. Improve your score by collecting cards quickly and a special multiplier will help you earn coins for the store. Discover twelve different locations and multiple difficulty modes as you rack up all the achievements. Whether you’re a rookie or a veteran solitaire player, this game has a pace that is just for you. 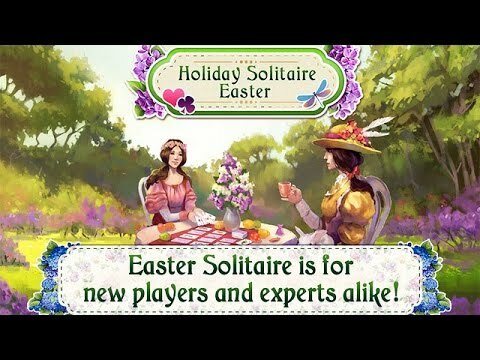 Embrace the joys of Easter all year round with Holiday Solitaire: Easter.